Here is a list of research and reports that provide further evidence about the importance of a college degree. “Good jobs” – full-time jobs that provide higher wages ($53,000 annually) and better benefits such as health insurance and employer-provided retirement plans – have grown the most in a post-recession recovery. Read more about the report from Georgetown University’s Center on Education and the Workforce. For those Americans between 55 to 64, 42 percent have a college degree, a rate surpassed only by Canada and Israel in the O.E.C.D. But among people aged 25 to 34, the United States is in 11th place, with a college graduation rate only slightly greater, at 44 percent. Read more stats in the Organization for Economic Cooperation and Development 2014 Report. College grads say college is worth it. 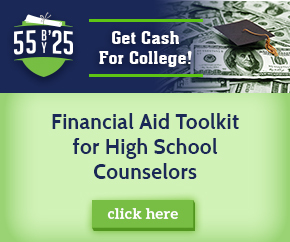 Read this and other key findings about the value of going to college. Early Warning! Why Reading by the End of Third Grade Matters. A KIDS COUNT Special Report, Annie E. Casey Foundation. The case for investing in PreK-­3rd education. Challenging Myths about School Reform. 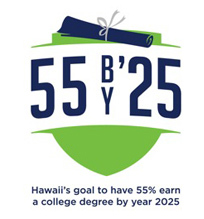 Increasing higher education attainment is an imperative in Hawaii, as it is across the nation. 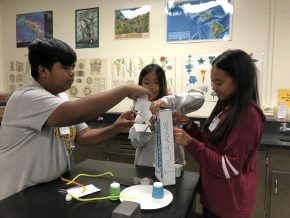 Check out the recent reports from the Lumina Foundation that track the nation’s progress toward Goal 2025—to have 60% of Americans who hold a high-quality college degree, certificate or other postsecondary credential as well as Hawaii’s progress in closing the college attainment gap. The Closing the Expectations Gap Report is produced by Achieve and details states’ progress on college and career readiness. The report shows how all states are aligning college and career ready standards with policies and practice to better ensure that all students are academically prepared for life after high school. About 95% of students from low-income families wish to pursue some type of postsecondary education, compared to about 87% of all students. Only 59% of students from low-income families immediately enrolled in postsecondary education, compared to 71% of all students. Fewer students from low-income families take a core curriculum, at 69%, compared to 84% of students from high-income families (defined as family income of more than $100,000 a year). Only 20% of students from low-income families met at least three of the four ACT academic benchmarks, compared to 62% of students from high-income families.